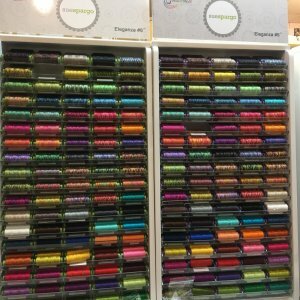 Sue Spargo Eleganza Thread collection! You can purchase any quantity of that day's special (while supplies last). You can purchase just one day or all 12 days (for only $199.99). The promotion is valid until midnight central time of the email date. We will hold all the items until the last day and ship them all together to save you on shipping. All discounts will be reflected at the register. Adjustments (shipping and product discount refunds) for web orders will be handled prior to shipment of products. We will begin shipping on Thursday, Dec. 15.